Fife Carers Centre has a Befriending Service to help carers who are socially isolated to get back out into their local community. We are recruiting volunteer befrienders. 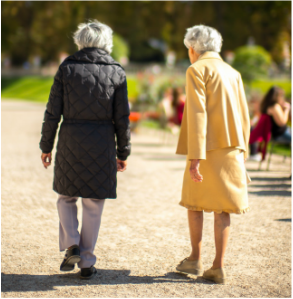 The befriending role will involve meeting up with carers, usually weekly, for 2 – 3 hours to have a friendly chat, go out for a cuppa or visit a local community resource. Being a befriender is a lovely sociable way of “giving back” and really helping someone. The matching process will help to make sure you’re going to be spending time with someone who you’ll be comfortable with. You don’t have to have been a carer, although that might give you useful insight, just being outgoing, friendly and warm are really great qualities for a befriender. If you think you could spend a few hours a week with people who need encouragement and a buddy to help them rediscover and develop their confidence befriending might just be the thing for you - if it’s not your kind of thing but you know someone it would suit down to the ground please spread the word! Get in touch with Helen Honoré the befriending project co-ordinator at Fife Carers Centre to find out more about applying. Training is given to befrienders before they're matched with a carer and ongoing support will be given. If you’re a carer and are thinking that having someone to chum you for a bit might just be what you need to help you get out and about then the befriending service may be useful for you - just have a word with your Fife Carers Centre carer support worker and you can discuss it together. 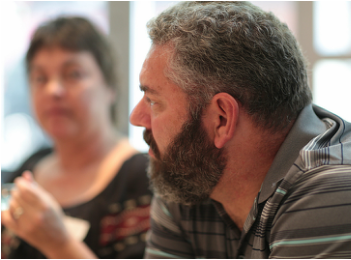 If you and your carer support worker decide that the befriending service is for you, the befriending project co-ordinator would have a chat to discuss things further. The discussion would centre around what you are looking for in a befriender before working on getting a suitable match for you. Working together you and your befriender will look for ways to develop “a life of your own” to enjoy alongside your caring.